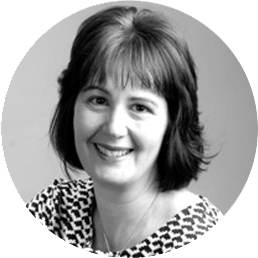 Hi I'm Debbie, and I founded Concilium-HR Ltd in 2014 and now work as an independent HR Consultant working with managers and employers of all sizes across Somerset and Devon. I will help you make your business even better through great people management and ensure your HR tools make your life easier. Are you feeling stressed about being an employer, not sure what to do for the best or you know what you’d like to do but not sure if you can or how. Get in touch today to find out how we can help you solve your HR Headaches, demystify employment law, make those needed changes and most importantly get the very best from your team. I have been working within public, commercial and charity sectors supporting managers with a variety of HR needs ranging from the day to day bread and butter basics through to the implementation of significant organisational change and successfully resolving sensitive or challenging HR issues. I am fully CIPD qualified and also have a Masters Degree in Management. I genuinely love HR and gain a great deal of satisfaction providing my clients with a flexible, responsive and affordable HR Service, whilst getting to know them and their business. Get in touch today and let’s see how we can make your business great through your people. Act as your sounding board and people management mentor as being a manager or business owner can be lonely at times! Enable your employees to contact us in line with a traditional in-house HR Service (boundaries agreed with you to fit the needs of your business). Access to a fully managed payroll bureau. Email payroll@concilium-hr.co.uk for further details. We offer an affordable pay as you go hourly rate. Alternatively half day / full day rates are also available. Where applicable mileage or reasonable incurred expenses such as room hire or photocopying will be in addition to normal rates.